Taste: refreshing Matcha taste with smooth coconut flavor. 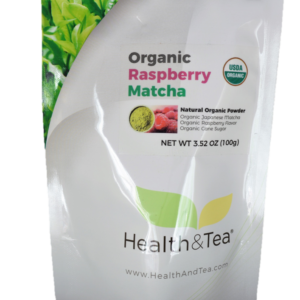 Ingredients: organic Matcha from Japan, organic cane sugar, natural organic flavor. 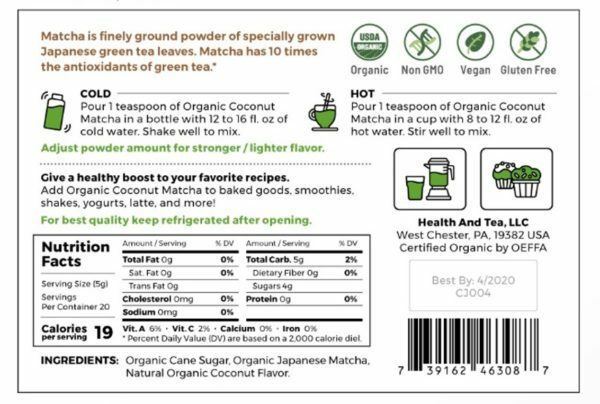 Organic Coconut Matcha combines a fresh Matcha green tea flavor with a smooth coconut taste. 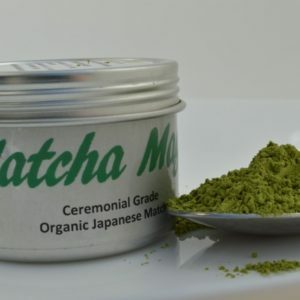 Top-quality USDA organic Matcha from Japan. Sweetened with organic cane sugar. 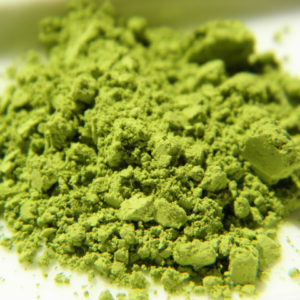 Matcha has high amount of EGCG a powerful antioxidant which may boost metabolism naturally. Makes a delicious and fresh drink when mixed with water. Use it to flavor or add a boost to your favorites recipes. For example, add to smoothies, yogurts, ice-cream, lattes, or when preparing cookies or cakes. 100% natural ingredients. No artificial ingredients or flavors; no additives or preservatives. Gluten free, sugar-free and vegan. Pour 1 teaspoon of organic powder in a bottle with 12 to 15 fl. oz of cold water. Pour 1 teaspoon of organic powder in a cup with 12 to 15 fl. oz of hot water. Adjust powder amount for stronger/lighter flavor. Use it to flavor or to add a boost to your favorite recipes. 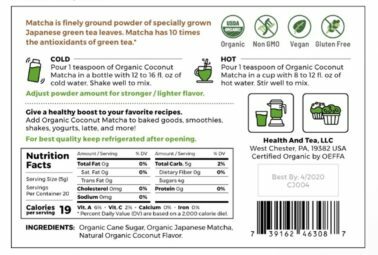 Add 1 teaspoon of Organic Coconut Matcha to smoothies, shakes, yogurts, ice cream, lattes, or when preparing cookies or cakes. For best quality keep refrigerated.